There are so many ways to be a memory keeper. 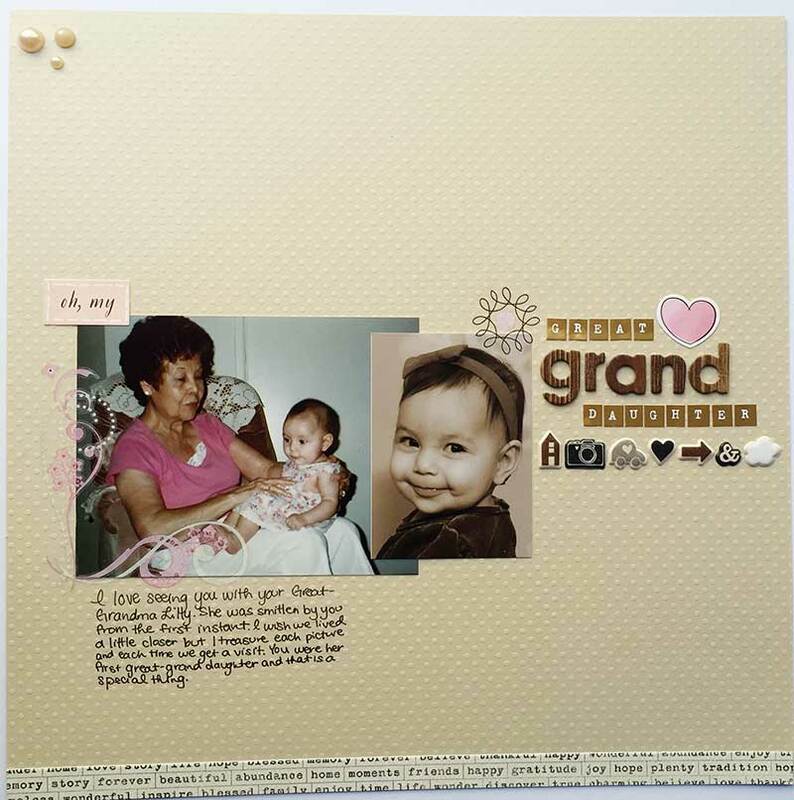 I happen to love scrapbooking. 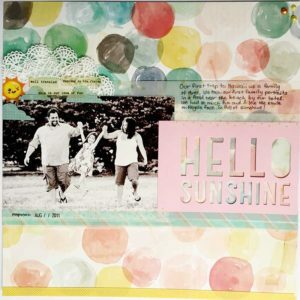 As a scrapbooker, I enjoy pairing photos with words using pretty paper and embellishments. The physical process of rifling through my stash of goodies is probably one of my favorite parts of being a creative. The only time it’s hard, is when I’ve been over-consuming rather than creating and the process can go from fun to overwhelming. Thanks to the first book on my 2015 reading challenge list, I did a BIG purge of my over-abundant paper and supplies at the start of this year. Per Marie Kondo’s advice, I went through and physically touched each item in my stash, big or small, and only kept items that brought me joy. Kondo suggests asking…out loud or in your head, “Does this bring me joy?” Though it may sound silly, I think this is one of the most important questions in life and once I started asking myself that question I was quickly able to purge! purge! purge! It made sense to me that I wouldn’t want to keep things that weren’t bringing me joy. Going through this process convinced me that this is the way to get start organizing your memory keeping supplies. It made sense to me that I wouldn’t want to keep things that weren’t bringing me joy. Once you’ve purged, it’s then so much easier to actually start organizing your memory keeping supplies, since you can focus on organizing only the supplies you really love. Before you dig in and really start organizing your memory keeping supplies, go make a layout with your reduced stash. You may find it easier, and even quicker, and you’ll be able to appreciate your reduced stash almost immediately. I know I did. That first purge and “the joy question” have definitely affected my shopping habits too. I’ve bought ZERO unnecessary scrapbooking supplies this year. Besides some paper for a gift and party decorations, scissors, and adhesive, I’ve bought no additional paper or embellishments. If I’m feeling the pull to a certain product, I pick it up and hold it (if I’m in a store) and I ask myself if it brings me joy. So far the answer has been no. Last week I participated in Stash Bash over at Simple Scrapper. 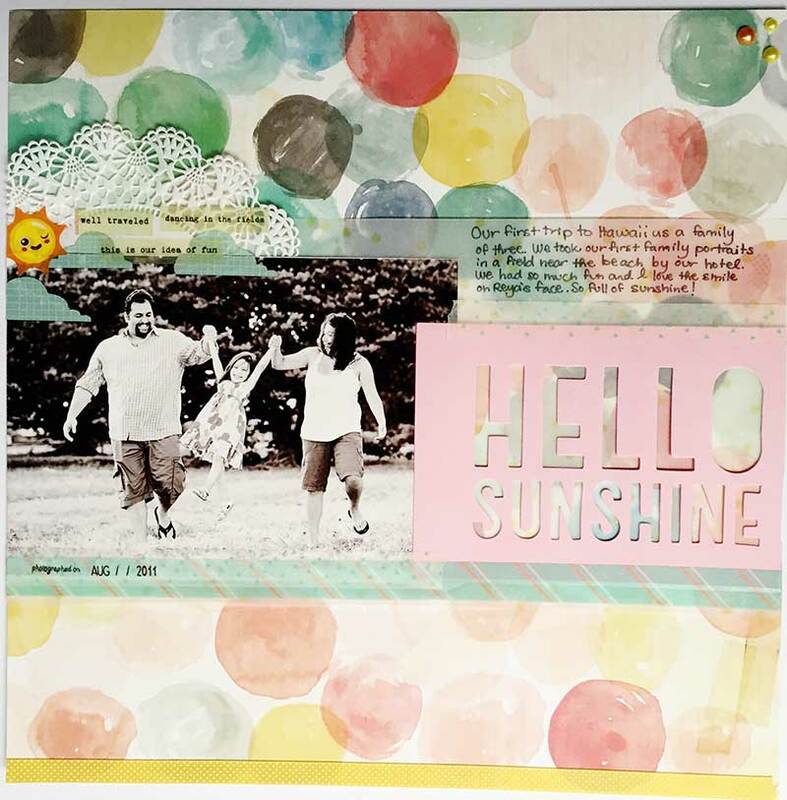 This annual event always helps me re-connect with my passion for scrapbooking. During the week-long event, Jennifer Wilson produces fun, organization and creativity challenges using audio and video content. 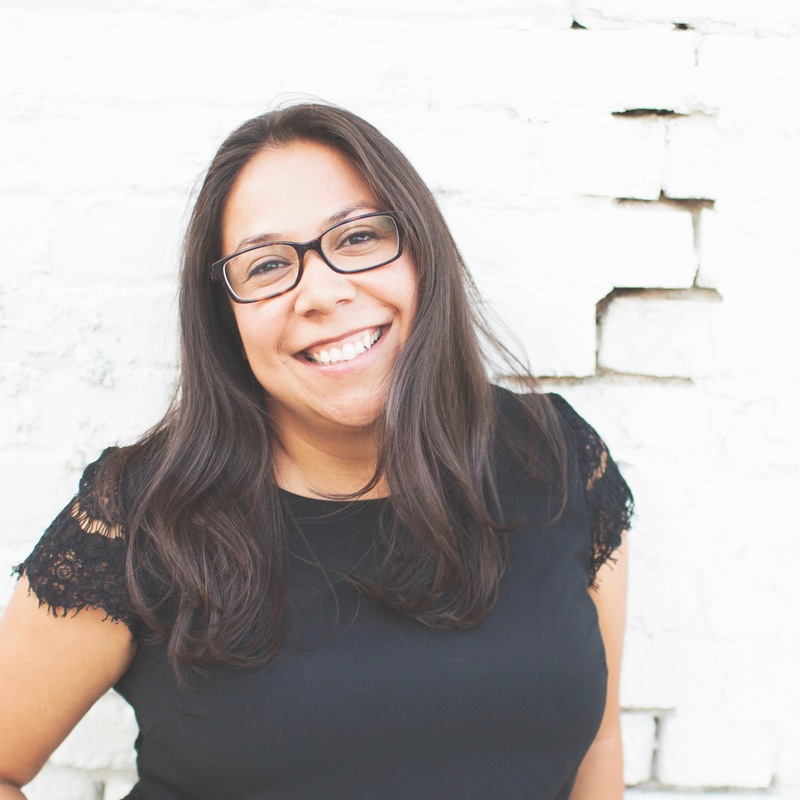 During Stash Bash, Jennifer is very accessible and provides really good tips and tricks on how to get your stash pared down and organized, and on how to take that momentum and make some layouts. Thanks to all that purging I felt like I definitely had a head start for this year’s Stash Bash. Even as the event was getting started I did another quick scan to see if there was anything else that was no longer bringing me joy so I could let those things go. This year there were thirty Stash Bash challenges and some great prizes (!!!). The first two challenges have been a super fun way to get me back in the habit of making layouts. Jennifer challenged us to gather supplies for no more than five minutes and then make a layout in 30 minutes. A couple weeks ago I shared a process video of a layout I made in about an hour. In the past, it’s taken me much longer, probably because I was easily overwhelmed by my over-abundant supplies. By reducing my stash, I’m finding even more joy in this creative practice and I have more time to actually make things. I didn’t complete all thirty challenges last week (in fact I only completed one), but I’m going to continue working through them because they’re so helpful. As I work through these challenges, I’ll share some before & after photos of my memory keeping goodies, organization, and, of course, any layouts. I’m a long-time Simple Scrapper member and I’ve written about other events before. It’s a great creative community, and the resources Jennifer provides really help me get the most out of my memory keeping hobby. 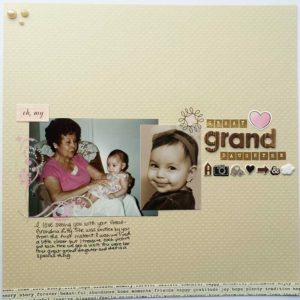 Scrapbooking is a fun and creative practice for me. I hope you’ll keep that fun in mind as you look around at your own creative stash. Whether it be scrapbooking, art journaling, or another creative outlet, stay mindful of how and why your creative practice brings you joy. Hold onto that as you take small steps to pare down and as you start organizing your memory keeping supplies. I am grateful for you. Thank you for spending a moment with me today. 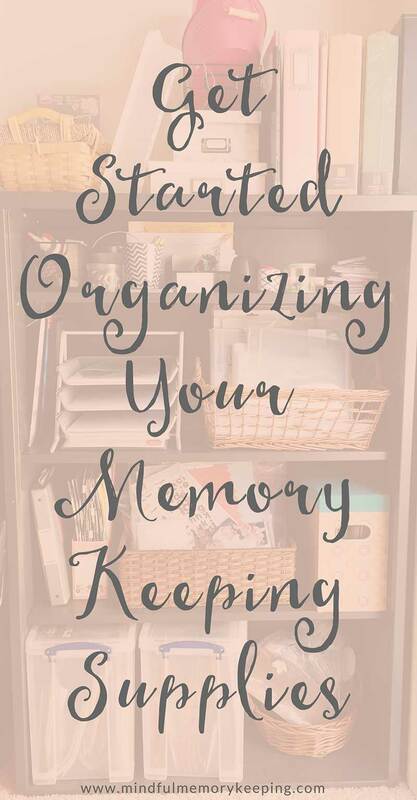 How do you get started organizing your memory keeping supplies or creative supplies in general? Have you ever done a big purge to get motivated? How did it feel? Gosh! I found this in the nik of time. As I’m about to purge a lifetimes worth of crafting supplies, I now know the best way to go about it. Thank you so much for this post. That’s great to hear Liz! I’m glad I could be a resource for you. Have fun with the purging! Once I got going it went very quickly. Just stick with it =) Thank you for reading! This is awesome and right on time! I just did a big purge and it feels great. It was hard saying good bye to some of those things I had been holding onto for when I get more time. But, I look forward to being able to find things now that there is not so much to sift through! Great article! That joy question really helped with letting go of those “someday” products. Most were bringing me a little guilt but definitely no joy. Fresh perspective, clean craft space, is there anything better? =) Thanks for reading Nikki! Marina, I also participated in the recent Stash Bash. 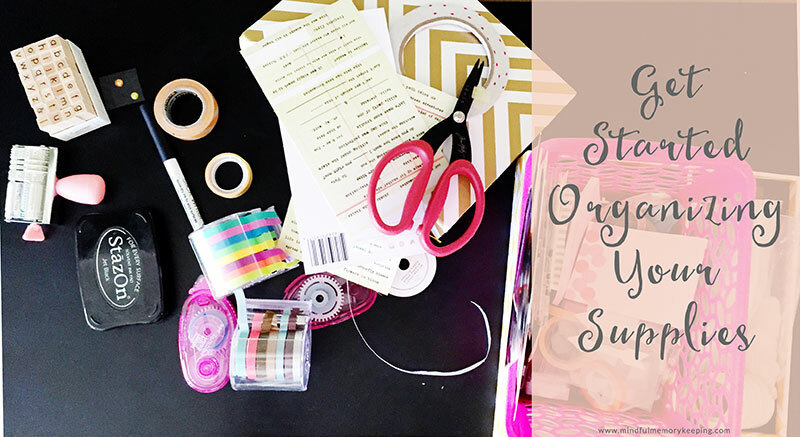 Your advice is spot-on for any crafter who is struggling with excess supplies. Cheers!